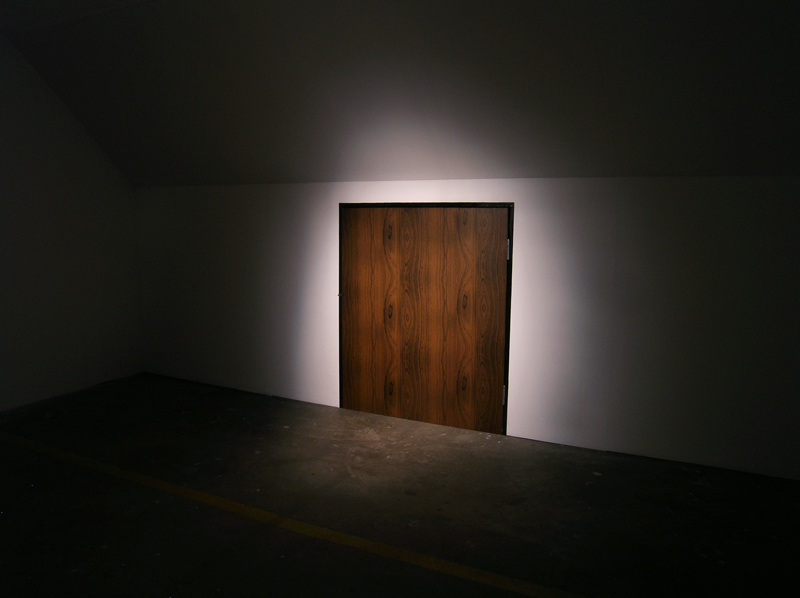 Installed in a gallery in the basement of an urban carpark, The Other Side sought to narrativize the specificities of that space, while blending traditionally opposing theatrical and minimalist tendencies. 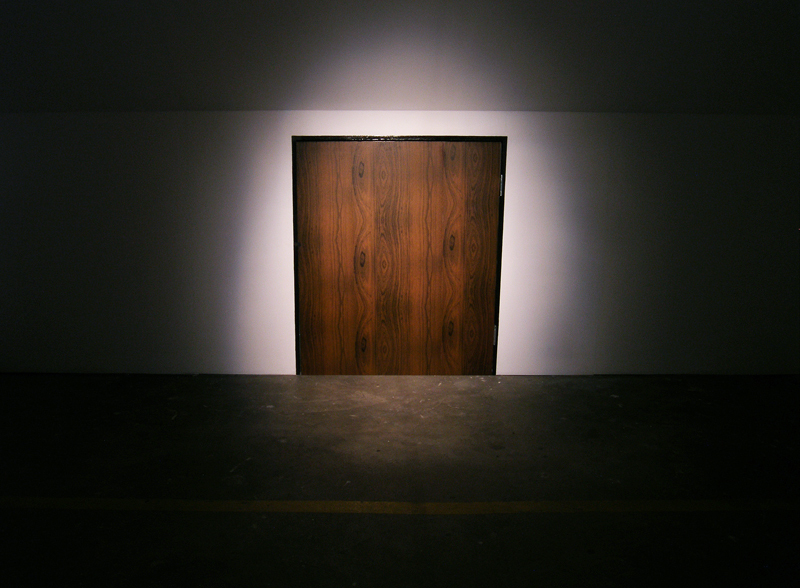 The narrative dimension physically compromised a false, low sloping ceiling and an undersized door covered in an uncannily artificial woodgrain vinyl. 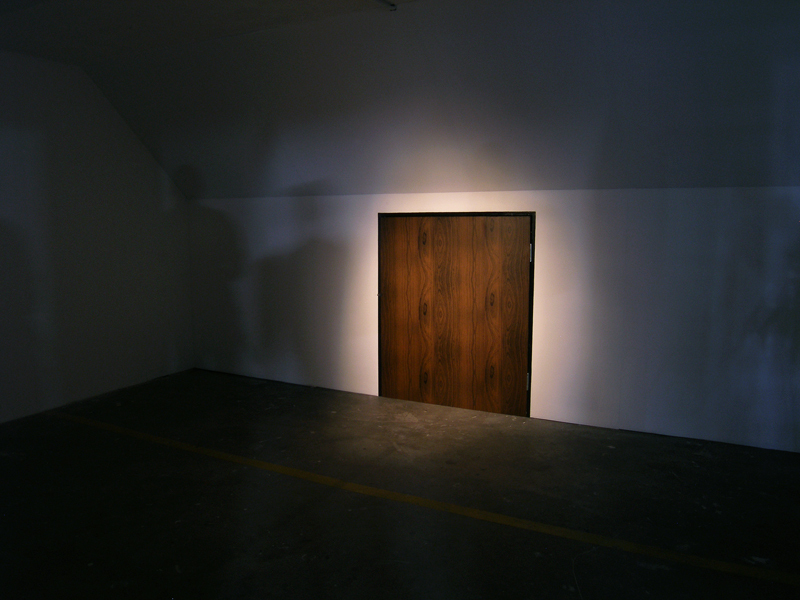 From behind the door came a persistent knocking, conjuring certain horror-film tropes but also more darkly absurdist overtones of the sort associated with the stories of Kafka or Beckett or more specifically, of Alfred Kubin, the macabre early 20th Century Viennese graphic artist and author whose novel the title of this installation paraphrases. More broadly, in a contemporary context, the work functioned as kind of frustrated promise whereby the ‘secret’ of the artwork, its ultimate ‘meaning’, was insistently and frustratingly withheld.